It’s that transitional time of year again where we are starting to anticipate the cooler months of falling leaves, bonfires and cozy knitwear. Whether you’re ready to put summer 2018 behind you in preparation for autumn or not, there are some absolutely gorgeous seasonal collections ready and waiting for you! It’s time to part with your pastels and shelf your neons in order to bring in some gorgeous autumn shades. As it’s a fresh start to the season, which collection should you be investing in that will provide you with a variety of stunning, easy to wear shades? The new OPI Peru collection of course! Inspired by the vast landscape and vibrant culture of Peru, this collection boasts 12 gorgeous new hues. Featuring shades ranging from dusty mauve undertones to statement deep reds and burgundies, there is definitely a shade here to cater to all tastes in nail polish. These twelve new lacquers are of course also available in both OPI’s well loved original formula and as an Infinite Shine lacquer. So without further ado, let us talk you through the lineup of these twelve must-have shades. Seven Wonders of OPI – More than 7 but who’s counting with this mauve-alous new shade! Lima Tell You About This Colour! – Spread the word about this exciting new pink! My Solar Clock is Ticking – Tick Tock, this colour rocks! Yes My Condor Can-Do! – A purple as wild as the bird itself. Spread your wings and fly! Grandma Kissed A Gaucho – If Grandma can do it, so can you! This flirty purple charms ‘em all. 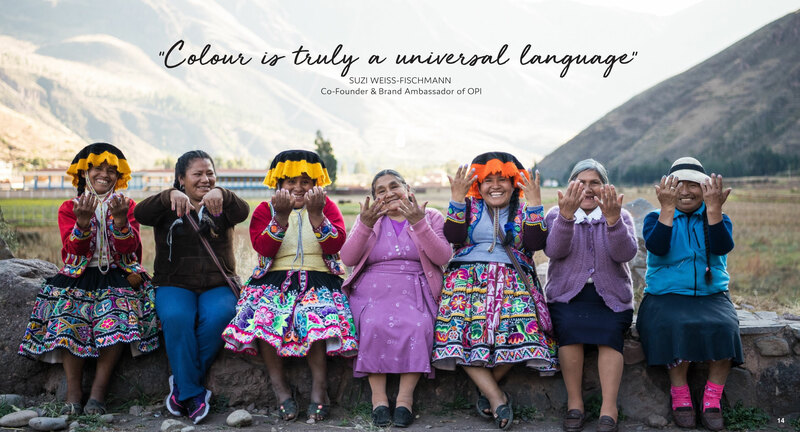 If you want to achieve the ultimate OPI Peru manicure, we have some top tips to make it possible! Just follow these easy steps for a wondrous autumn nail look. For a perfect polish, apply one stroke of Nail Lacquer down the centre of the nail followed by one stroke along each side. Apply a second coat of Nail Lacquer, pulling colour over the tips of the nails until you have reached your desired opacity. Shine, seal and protect with one coat of OPI Top Coat, pulling it over the tips of the nails until fully concealed. Make sure that the nails are clean and filed with the cuticles pushed back. Gloss: Apply one coat of Gloss for a durable finish which cures in natural light. For a manicure that’s dry to the touch in minutes, apply 2 drops of DripDry Lacquer Drying Drops to each nail. We would love to see your swatches of this beautiful collection, so make sure you tag us in your swatch pictures using the hashtag #NPDSwatch. We review and repost the best swatch of the week every Wednesday. Check us out and follow us on our Facebook, Instagram and Twitter.